In Liberia’s Women Veterans, Leena Vastapuu uses an innovative auto-photographic methodology to tell the story of two of Africa’s most brutal civil wars through the eyes of 133 female former soldiers. Incorporating their testimonies alongside a series of vivid illustrations by Emmi Nieminen, the book provides an in-depth account of these women’s experiences of trauma, stigma, and the challenges of reintegration into post-war society, as well as their hopes and aspirations for the future. Vastapuu argues that these women, too often been perceived merely as passive victims of the conflict, can in fact play an important role in post-war reconciliation and peace-building. 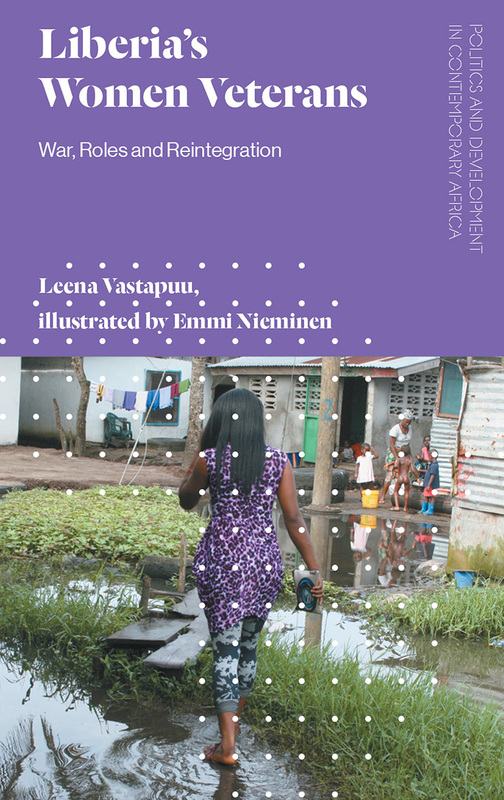 Overturning gendered perceptions of warfare and militarism, the book provides a unique take on humanitarian practices and post-conflict societies, making essential reading for policymakers as well as students and scholars across the humanities and social sciences.